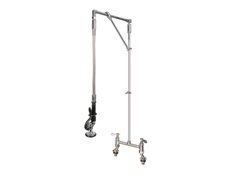 Description: Straight arm, monobloc mounted, Pre-Rinse Unit with heavy duty swivel arm support. 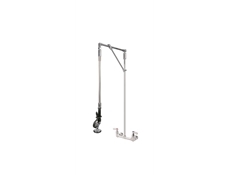 The H2O Pre-Rinse Units are heavy duty units suitable for commercial kitchens, restaurants and hotels. 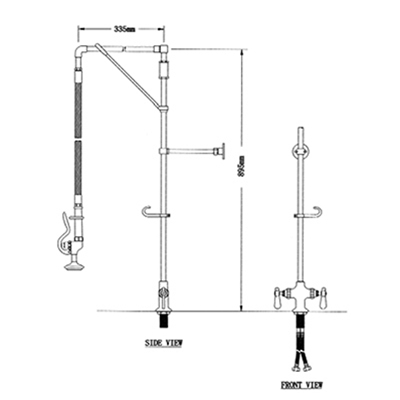 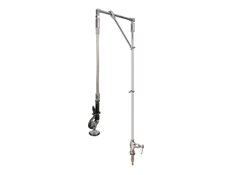 These units include check valves to prevent cross-flow, 12" wall brackets for secure installation and heavy duty swivel arm support for the straight arm units to strengthen and prevent damage. 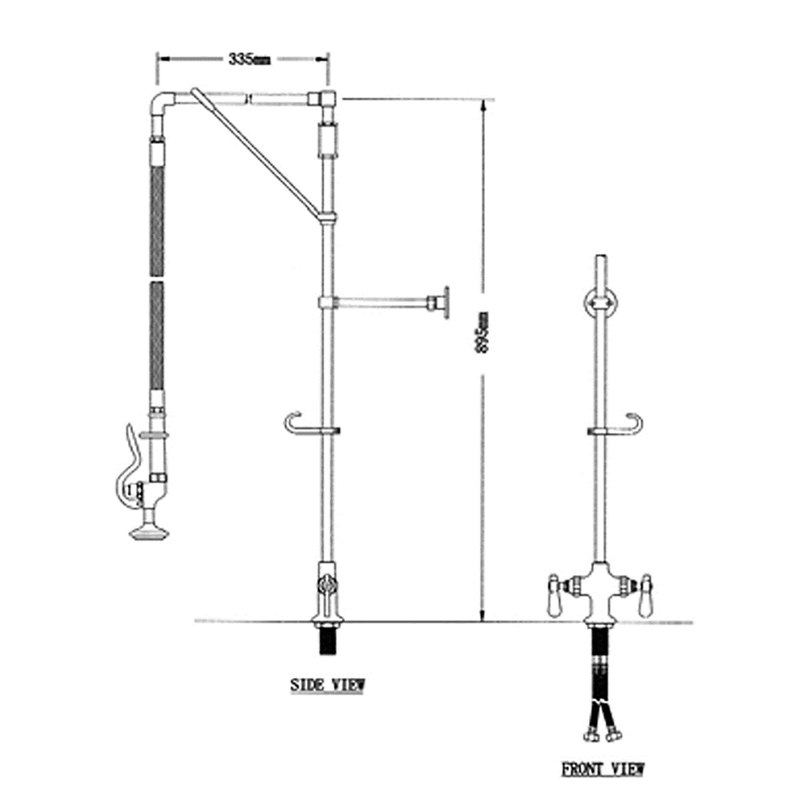 The straight arm Pre-Rinses start from 35" (895mm) in height. 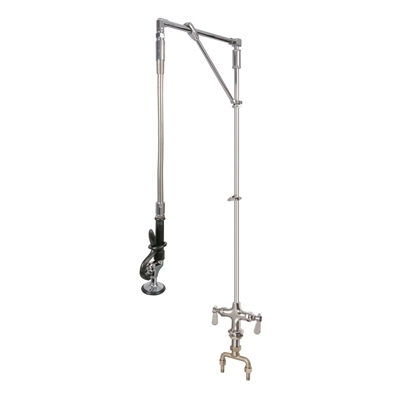 Accessories and add-on taps are available for all units.